Power banks attached to solar power sleeping mats or separate? 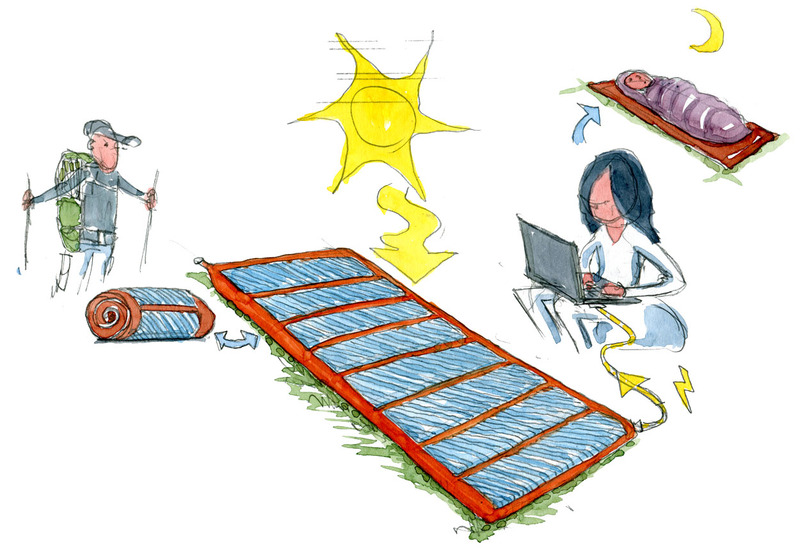 Both the option of integrating a powerbank (in)to the solar sleeping mat, and the option of keeping the powerbank separate from from the solar sleeping mat, and just attach it when charging makes sense. 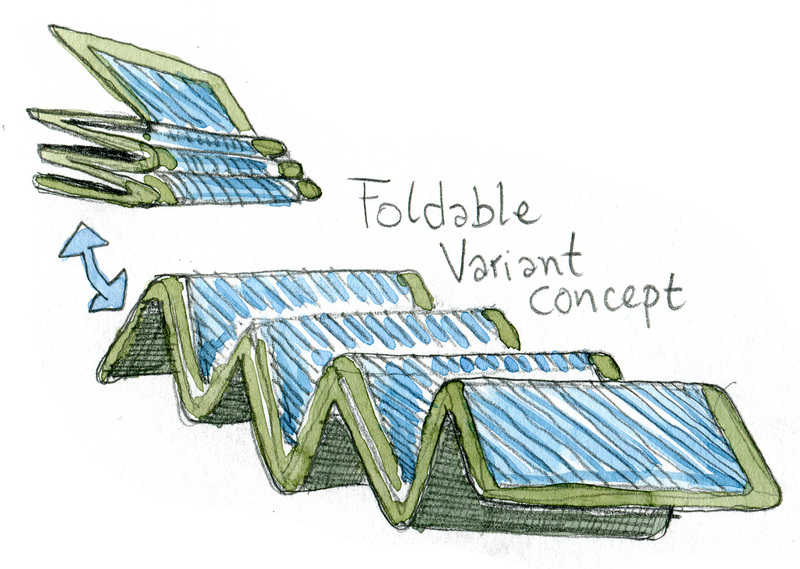 The integrated version will simplify things even further, while the separated version will provide a more flexible solar power energy system, where more than one powerbank can be charged. Could there be possible Health effects / hazards of sleeping on a solar power device? 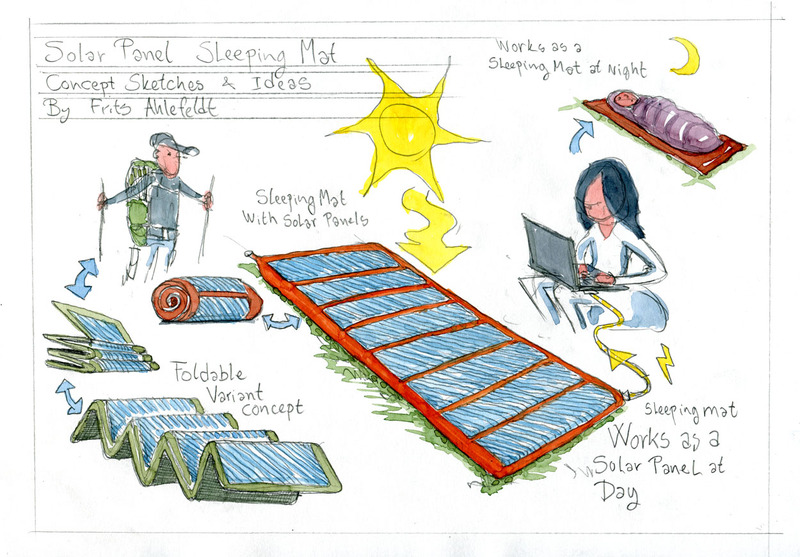 Could a sleeping pad transfer energy in combination or in other ways than solar cells, to boost the effiency? The theory and science of “grounding” is still young and many scientists are skeptical about the theory about energy flows between the Earth and humans. But in other more commonly used techniques the heat difference between surfaces is used, like in a fridge or heat pump ( Wikipedia link heat pump ) to heat or cool surfaces. Something hikers might one day take advantage off too, if these techniques can somehow be build into sleeping pads and help boost their efficiency.